I was under the impression that icicles hung down. They are certainly hanging from my eaves and gutters. 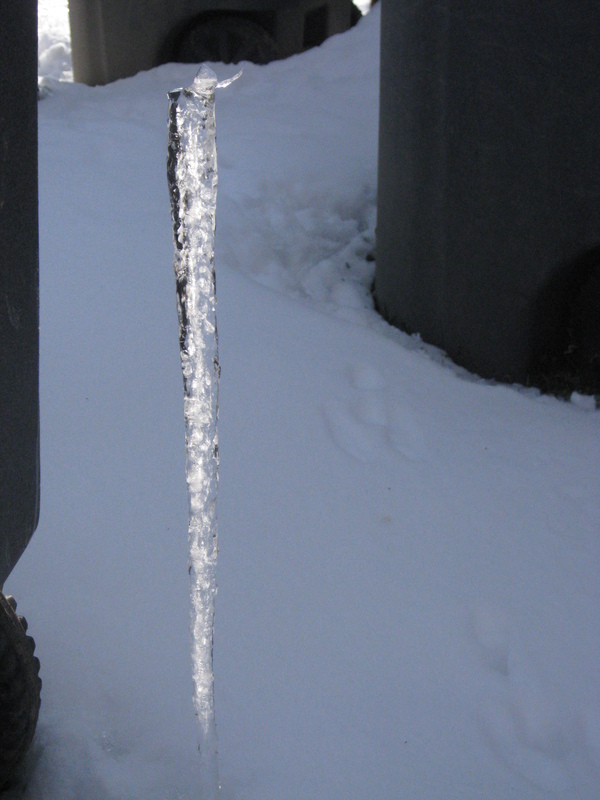 But apparently, this icicle is under the mistaken impression that it is a stalagmite. What a great catch! Funny! I’ve been really loving your posts and your pictures lately. Hugs!